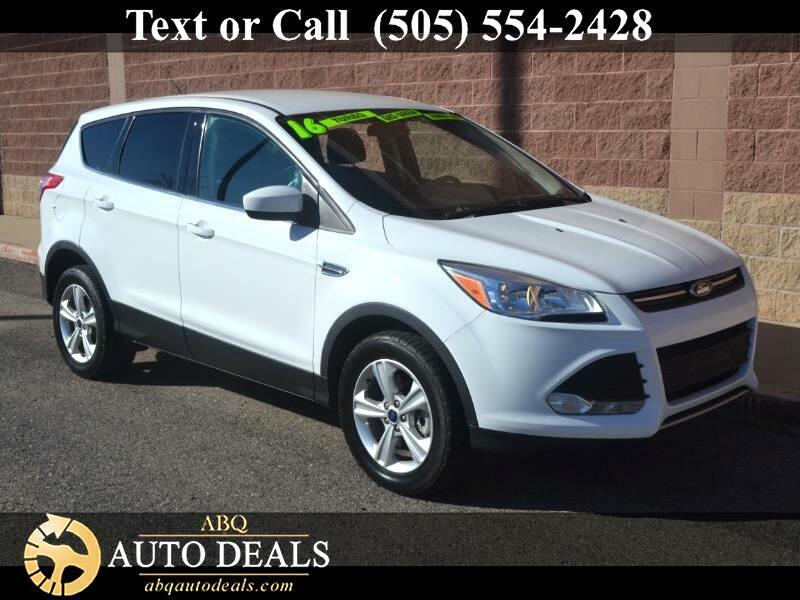 Brought to you in Oxford White, our One Owner, Accident Free 2016 Ford Escape SE 4WD is just the SUV you are looking for! Powered by a 1.6 Liter 4 Cylinder that offers 178hp while perfectly matched with a 6 Speed Selectshift Automatic transmission for passing ease. This Four Wheel Drive rewards you at the gas pump with near 30mpg on the highway and handles like a dream with precise steering and tenacious traction. The aerodynamic physique of our Escape SE makes a stylish statement with its alloy wheels and fog lights. Inside our SE, there's plenty of room for 5 passengers to ride in comfort with the convenience of steering wheel mounted controls, full power accessories, air conditioning, a power driver seat, and the versatility of 60/40 split folding and reclining rear seats. Bluetooth phone/audio and the SYNC electronics interface with smartphone integration keep you connected as you turn up your favorite tunes on a six-speaker sound system with CD, USB/iPod interface, and available Sirius radio! Carefully constructed with your active lifestyle in mind, safety from Ford has never been better with the Escape. Six standard airbags, stability control, available SOS post-crash alert, tire pressure monitoring, backup camera, and traction control all ensure your safety on the road. MyKey even lets you customize features such as speed and volume controls for the young drivers of the family. You have chosen a smart and versatile SUV! Print this page and call us Now... We Know You Will Enjoy Your Test Drive Towards Ownership! Your buying experience with ABQ Auto Deals is our number one priority.